File Format Transfer program. Works with may WP formats (WordStar,etc). file for information about registration and copyright. CONVERTERS" and "LOGICAL AND BIT OPTIONS." I have made some arbitrary decisions regarding what XWORD does to files. options that convert files to ASCII format all append a 1AH to the file. ASCII files can be ported. ASCII. You will have to weed out these characters in your file. MAKE ALL CONVERSIONS ON COPIES OF FILES ONLY, NEVER ON THE ORIGINALS. expands expands these tabs so they will appear properly. 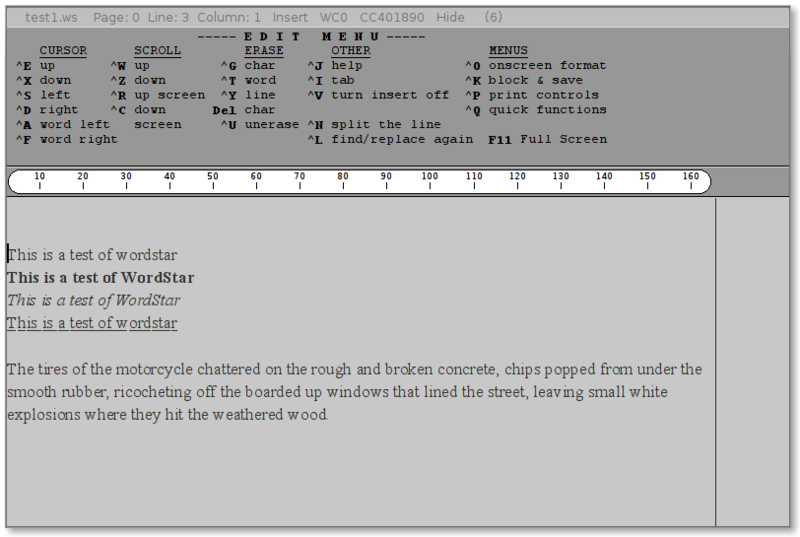 WordStar2000 to reformat the paragraph. best to check and see that the file is all there and in the right order. No special precautions need be taken here, as XyWrite II is very friendly. might be better served by using WordPerfect's own conversion program. number between 1 and 7, inclusive. to record your sequence and go through it in reverse to unscramble it). The last option on this menu, Replace, is different from the others. written as 0DH,0AH,27H,64H,0FFH, would be enterd as 0D0A2764FF. the name of the person or corporation from whom you purchased XWORD. function allowing for "intelligent" replacement. registered trademark of COMPAQ Computer Corporation.